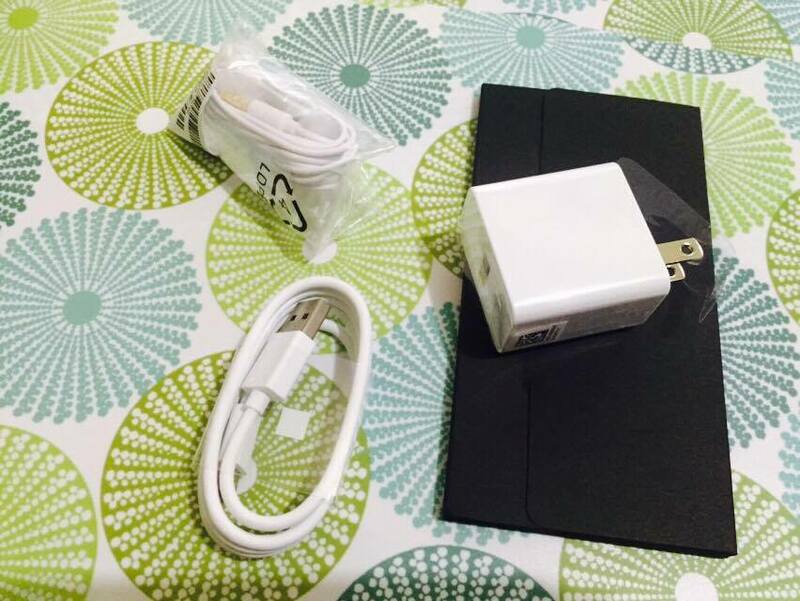 So here's what's included in the box: USB charger and earphones. The USB connector is different from the previous ASUS phone models though. The ZenFone 3 has a Type-C v2.0 reversible USB connector. And here's the best part, it has Fingerprint Scanner. So instead of key-ing PIN code, the fingerprint scanner is quite perfect especially if you are in a hurry to open your phone. ASUS also took into consideration the convenience of using it because instead of the usual thumbprint, you can easily scan the forefinger since that's how most people hold their mobile phones. 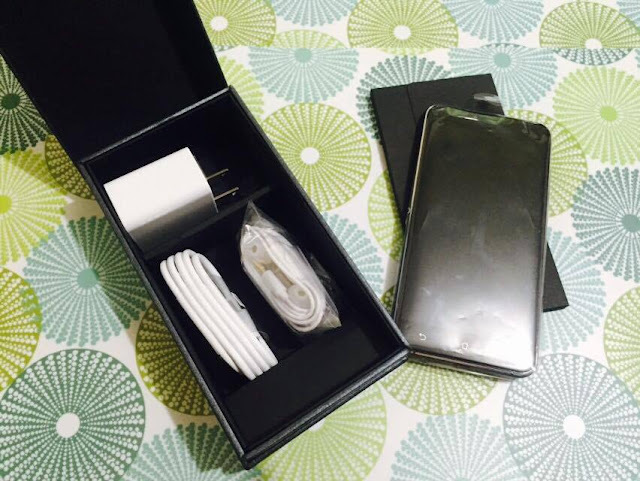 The Gorilla glass casing makes it look more elegant than its older sister (ZenFone 2) which has a matte casing. Between the two, I noticed that the ZenFone 3 doesn't really collect "fingerprints" unlike the ZenFone 2 which I need to clean repeatedly especially when I am playing games. The Gorilla glass also makes it scratch-proof. No need to worry even if you place the phone inside your bags along with your keys. The screen though is smaller since this ZenFone 3 has only a 5.2 inch display as compared to the bigger screen of ZenFone 2. However, there's a ZenFone 3 with a 5.5 inch display available too. As for the graphics and photos, I can say that there's really a big improvement between the two phones. The ZenFone 3 has a much more clearer resolution and brighter LCD screen even if the brightness level is "low." 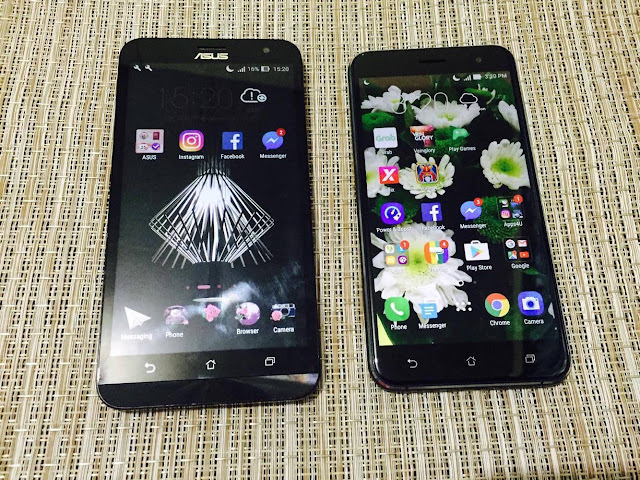 Here's a closer view of ZenFone 3 and ZenFone 2. 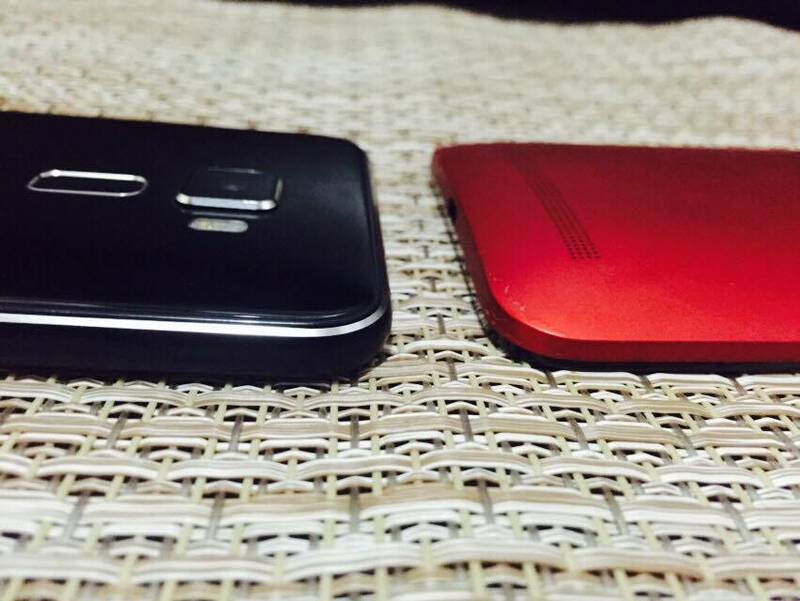 The older phone model is a bit thicker than the new one. And if I will compare the ZenFone 3 with other phone models, I can say that it is easier to hold (not slippery) than an iPhone 6. Stay tuned for a more in-depth review of ZenFone 3 on Viva Manilena. Asus is an under rated product, but in reality it is outright dependable. I used to own an Asus Transformer laptop computer and I was very satisfied with the performance given its affordable price. There are so many brand of phones nowadays, sometimes nalilito na ko sa mga specs nila. I tried Asus laptop pa lang, di ko pa natry ang phone. 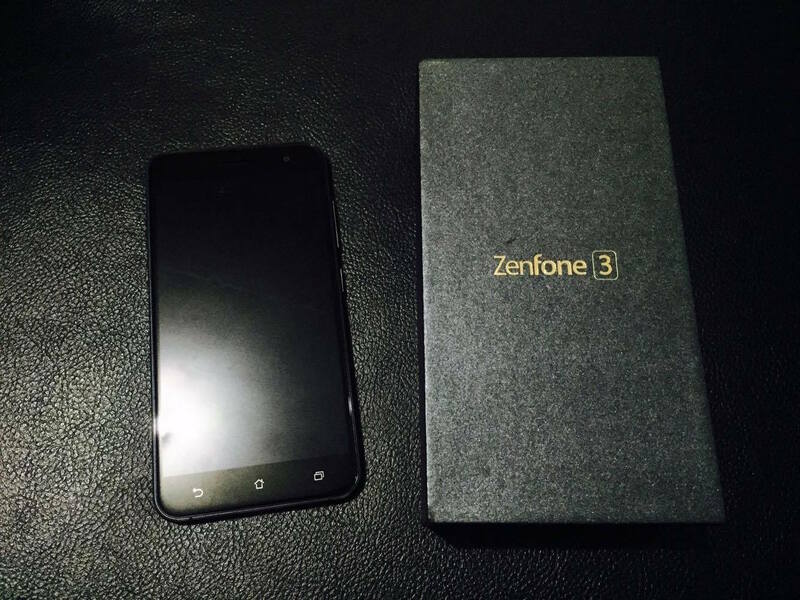 Parang ang ganda ng zenphone 3. Ang pinaka gusto ko tlga sa ASUS eh yung camera. Gaganda eh. So many smartphone brands. Makes me always wonder what to buy in case I need to. 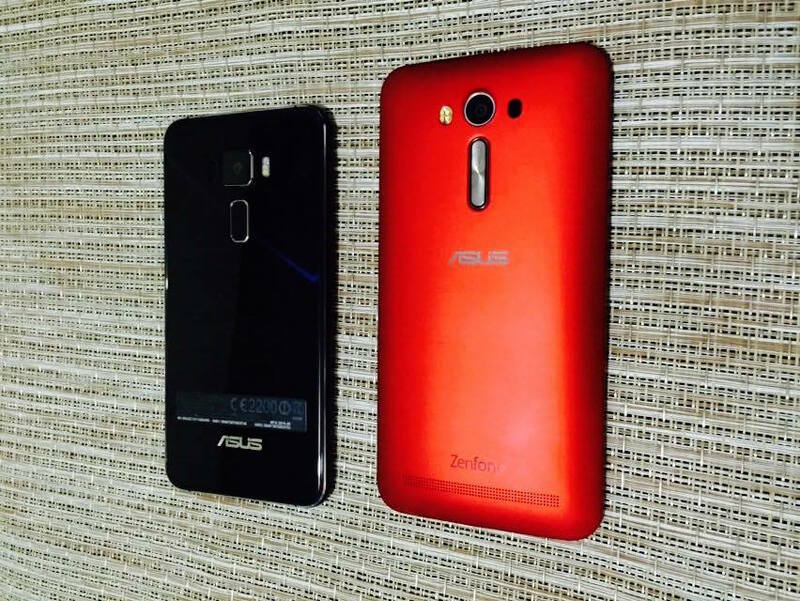 This asus zenfone is undeniably cool. I thought before that asus is for computers or laptops only. Now they got phone. Seemed like its features were okey! I've never tried asus fone before. But I have asus laptops which I can say are sturdy and of good quality talaga. I hope their line of smartphones are of the same quality, too. Nacucurios na talaga ko sa Asus Zenfone. Parang I want one na after ko matapos sa Iphone. It seems really promising! Ito yung pangarap kong Cp na gustong bilhin eh. Kaso ang husband ko binilhan na ako ng Samsung sa Brazil. pero okay lang. Chill lang. My husband had an asus tablet until our son threw it and broke the LCD. Haha. It was ok for sometime. But we had issues when it started dying randomly. I hope their phone line is better. This looks sleek. I know a lot of people scrambling to get the latest Zenfones! It's a great choice because we have a couple of Zenfones at home (both 2 years old) and both are still running well. I find Asus phone reliable. Most of my friends who are ma techie would say Asus is an under rated brand. It has such beyond quality features daw. But then, people are drawn to the more maingay brands kaya only a few have Asus phone. I love the idea of Fingerprint scanner feature. People can't still unlock the phone even they know your passcode. I'd love to check this out! I'm currently using an Asus Zenfone 2 and I really like it. For sure, this is a better version of it. E is a fan of the zenfone series and he would know which phone is better because he researches about things like this extensively. It's a reliable brand. I haven't really tried other phone brands aside from Samsung and iPhone. Asus looks promising. I'll check it though. I've never tried an Asus phone yet. It's good to know that they offer nice ones that are at par with the more popular brands. So far I'm satisfied with my Zenfone since I started using it. Sana lang hindi sya tulad ni Samsung na nag ha hang after years of use ( or lahat naman ng cellphone is like that) hahah. 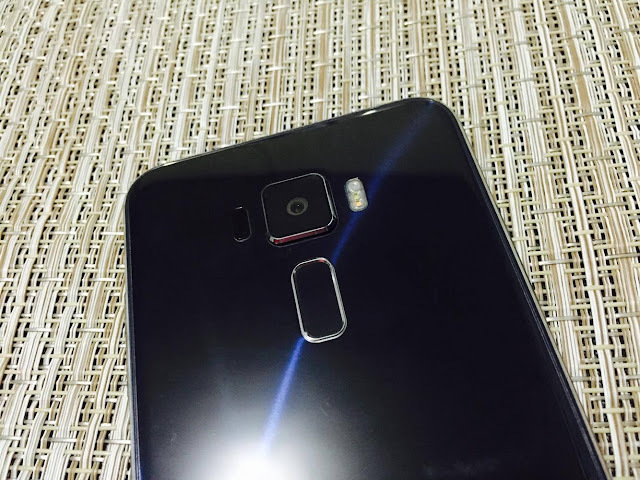 I like the Zenfone series because the specs are great and it's comparable to expensive phones. ZenFone 3 is definitely slimmer and more elegant. I also love the fact that it's scratch-proof, so it's safe to place practically anywhere. i love Zenfone's camera and the size! I wanna buy one for the partner soon since his phone is giving him a headache na. My family is using Asus and they are all satisfied. It's tempting to try one too! I've been praying for a new phone and would definitely go for an Asus!